The Tolman/Bacher House, from the 1930s (with Richard and Ruth Tolman relaxing outside their home) to today. For the past several months, I’ve been working with the Keck Institute for Space Studies (KISS) to gather historical materials for the Tolman/Bacher House, one of the oldest buildings on campus, and with the Keck Center dedication yesterday, all of our hard work has paid off! In addition to the physical exhibits, which are tucked away in the bookcases and mantel-tops of the Oort Cloud Lounge (originally the living room) and the Black Hole Conference Room (study), we’ve built a website to introduce the house and all of its roles throughout the decades. As a recent Caltech alum, I feel personally connected to this project, which incorporates both Caltech history and cutting-edge planetary science (KISS is a well-known think-and-do-tank for space science research). At the same time, it marks a significant transition in my life and career, from research scientist to historian of science and curator, and I’m very grateful for the experience. It feels strange sometimes to be making this transition on the same campus where I’ve spent several years working toward a doctorate in science, but I have to remember that it’s also the campus where I “snuck away” to take classes in history and Latin and where I’ve spent countless hours organizing rehearsals and film schedules for student theater and The PHD Movie. In some sense, I think I’ve always been in transition. Perhaps that’s why the Tolman/Bacher House appeals to me as much as it does: this house, too, has played many roles and captures a transition frozen in time. Completed in 1926, the house served as a comfortable home for two Caltech families, the Tolmans and the Bachers, before becoming part of the campus – which, by that time, had grown to surround it – in 1988. As the Tolman/Bacher House Curator, I’ve tried to identify and juxtapose objects (photographs, newspaper clippings, letters, notes, etc.) that present the story of the house throughout the different eras of its history, the hope being that through this narrow lens, visitors and readers might view a little slice of Caltech’s past. Standing in the original house and looking across the courtyard to the newly-dedicated Keck Center, both the past and the future feel close enough to touch. 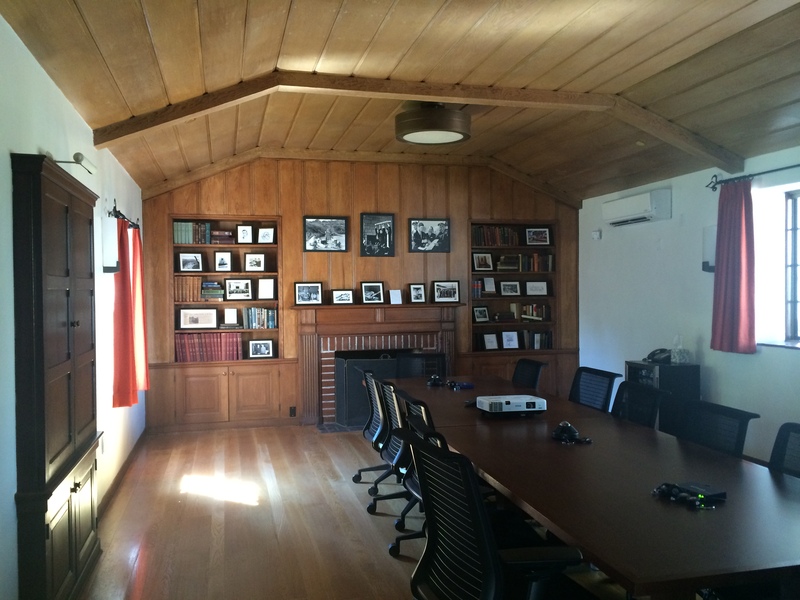 The study (now the Black Hole Conference Room) was added by Richard Tolman in 1936. 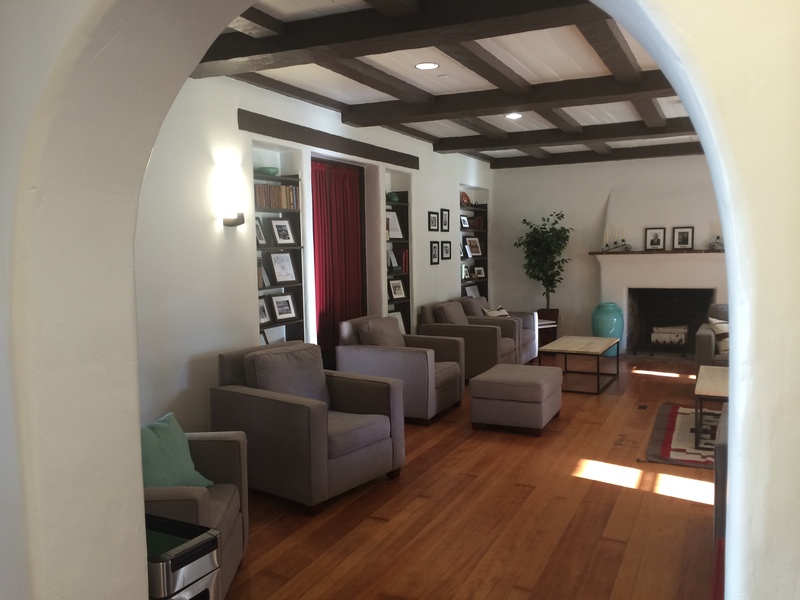 The living room (now the Oort Cloud Lounge) was part of the original house, which was completed in 1926. I love the way you mix the old with the new. The Black Hole Room looks almost like it would have back in the 40s, minus the nice chairs, whereas the Oort Cloud Lounge looks like it would come out of some modernists home. Great job! The Tolman-Bacher house story brings back fond memories of my first 5 years at Caltech, when we lived just North of campus and I walked by each morning and afternoon … occasionally being able to greet Dr. Bacher.